Savard told the Washington Post he had set the camera to automatically record photos when he placed it in the tank. 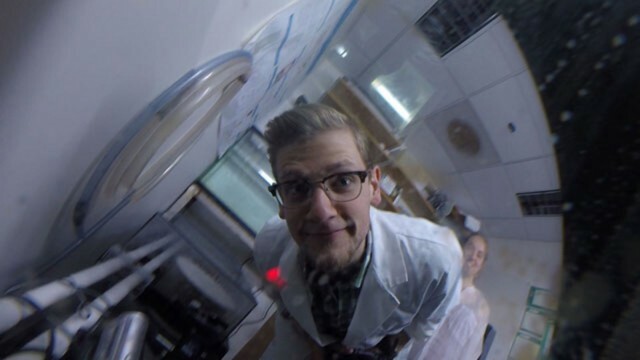 The students were conducting research on whether an octopus can learn a task by watching another octopus, but after the GoPro event, the students may have another avenue for their studies. Savard’s photos have been making the rounds on the internet. On Reddit alone, the photos have been viewed more than 3 million times. 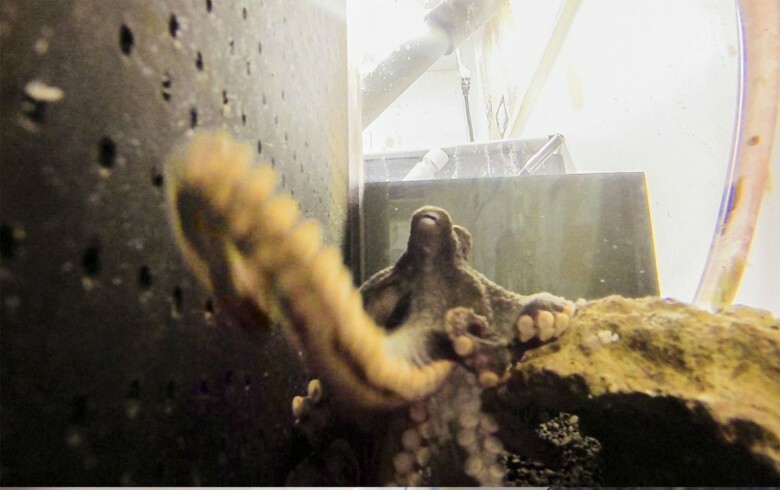 The California two-spot octopus may be competition with other members of the animal kingdom. On GoPro’s official website, there are videos of a lion cub pawing a camera, a giraffe kicking one over and a grizzly bear exploring the tastiness of the device. 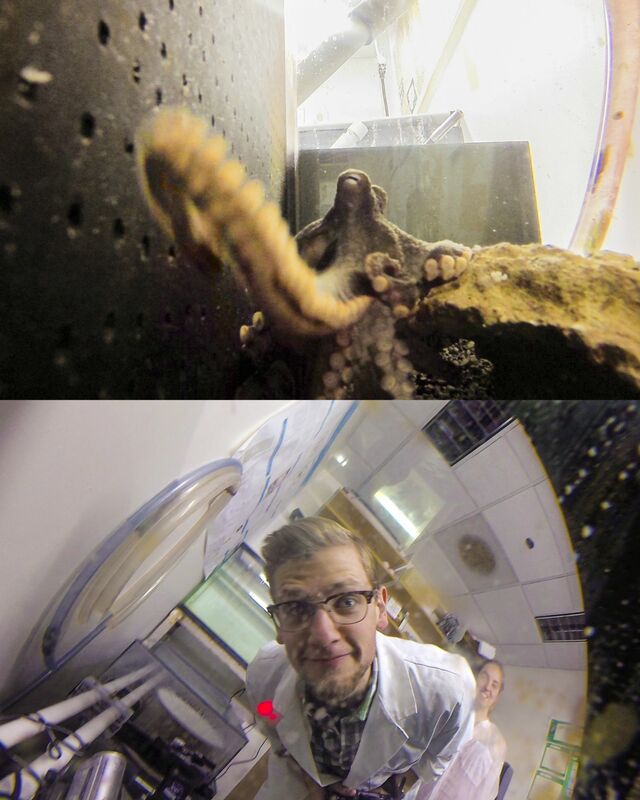 But considering the number of limbs on an octopus, the possibilities for GoPro are endless.